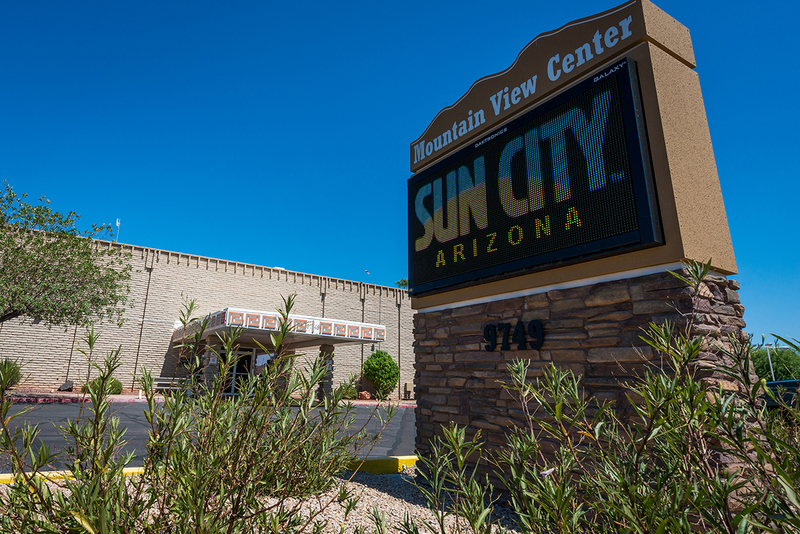 Mountain View Recreation Center - Sun City, Arizona - The Original Fun City! Mountain View Recreation Center, Sun City AZ’s southernmost recreation center, provides many activities for RCSC Cardholders, with numerous sports amenities and an auditorium for performances and special events. With the recent installation of seven new pickleball courts, the array of Sun City recreation choices continues to expand. * Reservations for certain club activities and classes may affect these hours. Contact the Facilities Attendant at the phone number above to confirm open play availability.